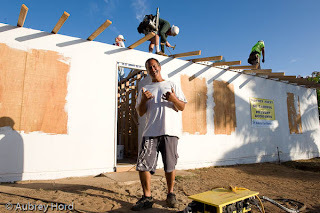 This past weekend, as the sun rose on the island, Maui Habitat for Humanity invited me to their annual Build-a-Thon, taking place in Paukukalo. 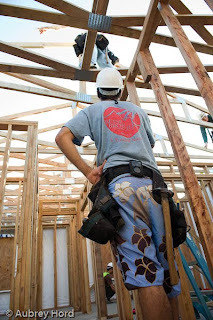 The huge team of volunteers took on the immense task of rebuilding two homes in the neighborhood from the foundation up. The job had its perk though, an incredible view of both the ocean and the West Maui Mountains from the rooftop. 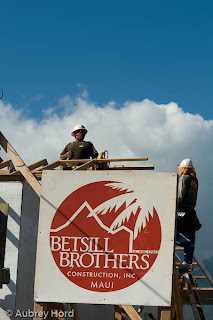 I was there in the early morning hours and got to see the trusses go up on the roof, weatherstripping windows and the prepping of the lanai. Everyone seemed in good spirits and very focused on the task at hand. 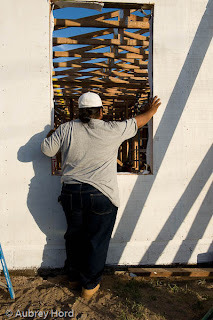 I felt like I was on the set of Extreme Home Makeover with all the work going on at the houses at the same time. 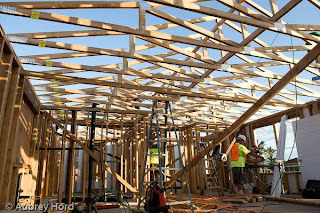 Trusses were going up on the roof while the outside was being weather stripped and painted. Incredible! 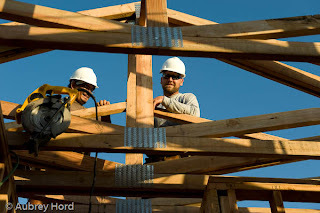 Check out the view for the roofing team! 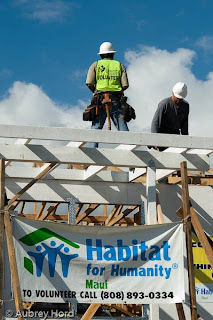 Thanks to the dozens of talented volunteers who made this day happen and for contributing your time and skills to a new home for a needy family. 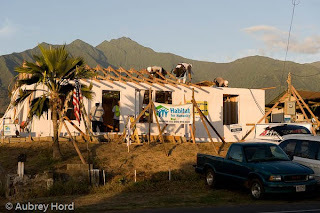 For volunteer opportunities, check out www.habitat-maui.org.